3200mm Corrugated Cardboard Paper Machine can produce kraft Paper liner board paper, carton medium paper by using waste carton or wood virgin pulp. 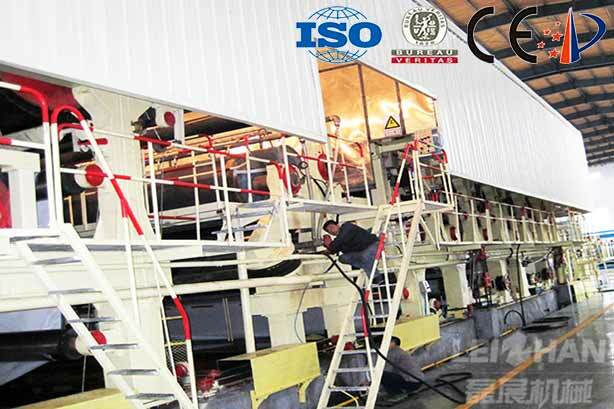 This corrugated paper making machinery has the advantage of superior quality, good performance and high efficient. Waste paper–pulping–screening–pulp cleaning–rescreen-mixing–mixed pulp–headbox–upper wire–water absorption–drying-reeling.